Sixteen year-old Eve Hamilton is a courageous young woman who has used her experience as a young carer to her brother Cole to inspire her class mates. 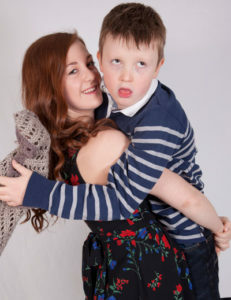 Cole, who is now eleven, was born with a unique gene deletion disorder which means that he has learning difficulties, hypertonia and severe autism. He is unable to talk or understand simple instructions. He finds it difficult to maintain friendships but his sister remains his companion and constant friend through thick and thin. As well as doing her best to enrich Cole’s life, Eve is a keen advocator for people who are “different”, taking every opportunity she can to educate her peers about Cole’s condition. Eve’s mum Kate told us: “Eve, who is in her last year at school, has been delivering a speech to each year group in assembly about her brother and what it’s like to have a member of your family with a disability. She talks about being a young carer and not to judge people by their appearance or how they act and to be more understanding. 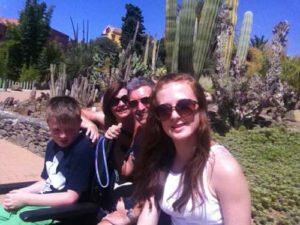 It’s a big deal for a teenager to open up her private life to an entire school but she wanted to do it, if it meant she could help other carers to gain strength from knowing they are not alone and to raise awareness of children with disabilities. The feedback has been astounding and the headmaster is so impressed he wants her to talk to other older groups outside of school. Eve is incredibly humble, not wanting any recognition for the effort she is putting in to educate and inform her classmates. She simply wants to let people know that it is ok to be different and if she can stop even one person from being bullied, Eve is happy. To help put across her message and to let everyone know how proud she is of Cole every day, Eve put together a heart-warming video tribute to her brother which can be viewed below. Cerebra was able to help Cole with a grant for speech and language therapy. We recently held our first Cerebra Family Forum in Knowsley in the north west. We had three informative speakers for this event, providing information on rare genetic conditions and current research projects. Unique is a charity that supports families of children with rare genetic conditions. Dr Beverly, Searle, their CEO explained how rare chromosome disorders occur and gave an insight and update on current research projects. Beverly also provided information on their and services and publications. Her presentation can be downloaded below. Elizabeth Halstead, Lead Research Officer for Cerebra, provided an overview of Cerebra’s Research projects and the launch of a new 1,000 families study for parents and carers of children with learning disabilities. This new study aims to provide the largest UK database for information which is essential for future research in this area. Elizabeth’s presentation can be downloaded below. 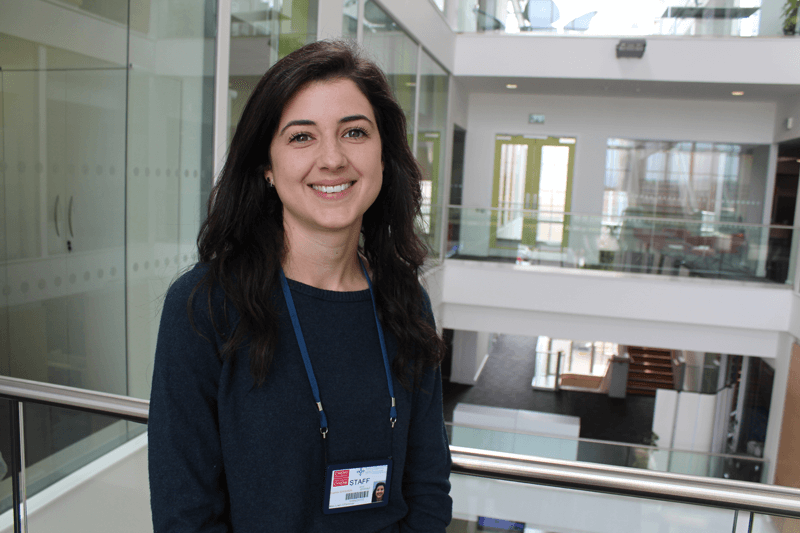 Dr Caroline Richards, Research Fellow at Cerebra’s Centre for Neurodevelopmental Disorders at Birmingham University, provided an overview of their work, which includes research with families of children with rare genetic conditions. Caroline’s presentation focused on research on sleep and challenging behaviour often prevalent in children with rare genetic conditions. Fifty two people attended the event and the feedback was fantastic with lots of positive comments about the quality of the presentations and information available. Lots of parents and carers commented they were unaware just how much research is ongoing and many felt it was great to have an event dedicated to rare genetic conditions. Visit our research pages to find out more about the exciting research funded by Cerebra at universities across the UK and in Barcelona.